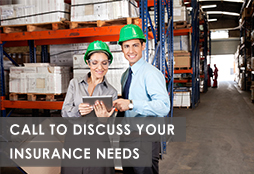 No matter what the size of your business, you will need some level of insurance to protect you and your business. For small businesses, insurers often combine a number of insurance policies into a package sold as a single contract. The most common policy for small businesses is the Business Owners Policy (BOP) or Package Policies for larger businesses. Property insurance compensates a business if the property used in the business is lost or damaged due to such things as fire or theft. In addition to the building or structure, property insurance covers your business property such as office furnishings, inventory, raw materials, machinery, computers and other items necessary to a business’s operations. Depending on the policy, property insurance may include coverage for equipment breakdown, removal of debris after a fire or other destructive event, and certain types of water losses. It may also provide loss of income and operattional funds when the business is trying to get back on track after a catastrophic loss. Any business can be sued. Customers may claim the business caused them harm due to a defective part, an error in a service or disregard for another person’s property. If the business is found liable, liability insurance pays damages up to the policy limits as well as attorneys’ fees and other legal defense expenses. It also pays the medical bills of anyone injured by or on the premises of the business. A business vehicle policy covers autos and trucks owned by a business. The insurance pays any costs to third parties for bodily injury or property damage for which the business is legally liable, up to the policy limits. An employer must have Workers Compensation Insurance when there is at least one employee. Workers Comp insurance, as this coverage is usually called, pays for medical care and replaces a portion of lost wages if an employee is injured in the course of employment, regardless of who was at fault for the injury. Failure to have such coverage puts the business at financial risk and also penalties by a State can occur. Some businesses involve services such as consulting, design functions or representing the needs of others, which can lead to being sued by customers or clients claiming that the business’s failure to perform a job properly has injured them or caused some sort of harm. Errors and omissions or professional liability insurance covers these situations. The policy pays the judgment for which the insured is legally liable, up to the policy limit. It also provides legal defense costs, even when there has been no wrongdoing. Businesses like a pharmacy, attorney, accounting, dental offices can be subject to this type of need. Employment Practices Liability Insurance covers (up to the policy limits) damages for which an employer is legally liable such as violating an employee’s civil or other legal rights. This can include discrimination, wrongful termination, sexual harassment, and violations of Americans With Disabilities Act (ADA). In addition to paying a judgment for which the insured is liable, it also provides legal defense costs, which can be substantial even when there has been no wrongdoing. This coverage can also extend to 3rd parties like vendors, clients and customers. In today's complex world of credit cards and computers,customers' and employees' data is certainly at risk. When data is compromised, State and Federal guidelines for protecting customers and employees dictate what an employer must do to compensate and make whole what has been compromised. These costs may run into the thousands and notification and protection provided to customers must follow whatever state they live in. A policy in place can provide that protection. As the name implies, an umbrella liability policy provides coverage beyond the business’s other liability insurance policies. It is designed to protect against unusually high losses and provides protection when the primary policy limits of one of the underlying policies have been used to the limit. For a typical business, the umbrella policy protects beyond the general liability and auto liability policies. Additionally, if a company has employment practices liability insurance or other types of liability insurance, the umbrella could provide protection beyond the limits of these policies.